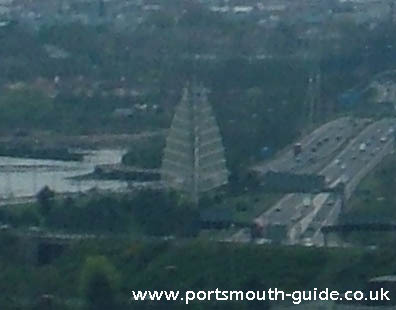 The Sails Of The South are located in the central reservation of the M275. 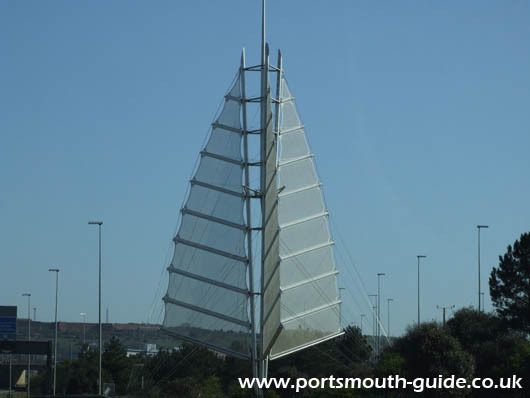 The sails are 43 metres high and mark the junction with the M27. 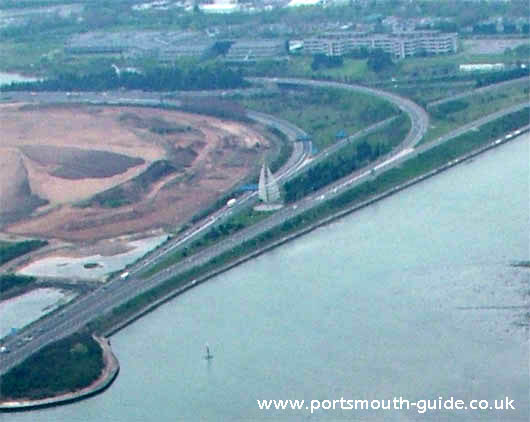 The design is meant to symbolise the three directions of the motorway intersection as well as symbolising Portsmouth's maritime activities. The lights on the sails were switched on in March 2001. The picture above shows the sails in the centre and was taken from Portsdown Hill.